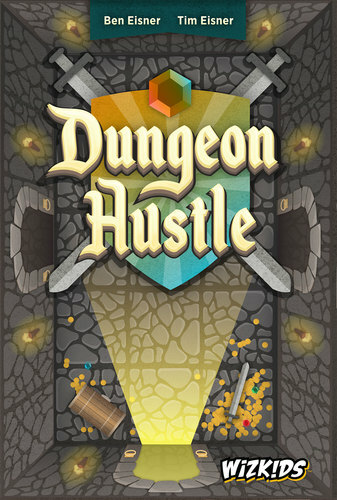 In Dungeon Hustle, you play one of four classic fantasy characters: a Fighter, a Rogue, a Cleric, and a Mage. As you move around the dungeon, you'll pick up cards with Potions, Scrolls, Swords, Keys, and Shields to use to fight monsters, gain items, and complete quests. But don't let your pursuit of glory make you forget why you were sent here: to rid the dungeon of monsters and keep them from escaping into the outside world. You need to hustle, because if too many monsters escape, the game will end and all players will lose!